New-strategy developments represent the next wave of New York City residential building: Their price ranges respond to the broadest levels of demand for housing in New York City, and the largest quantitative groups of New York City population—perhaps five million persons. Included in this middle-income base of New York is the vast bulk of the city's civil service, police personnel, firefighters, schoolteachers, health-care nurses and associated professionals, successive waves of immigrants, and new graduates and young workers. Much of the current housing stock open to this group at present is old, often substandard, in need of renovation and replacement. New construction, with higher-density development, is especially crucial. 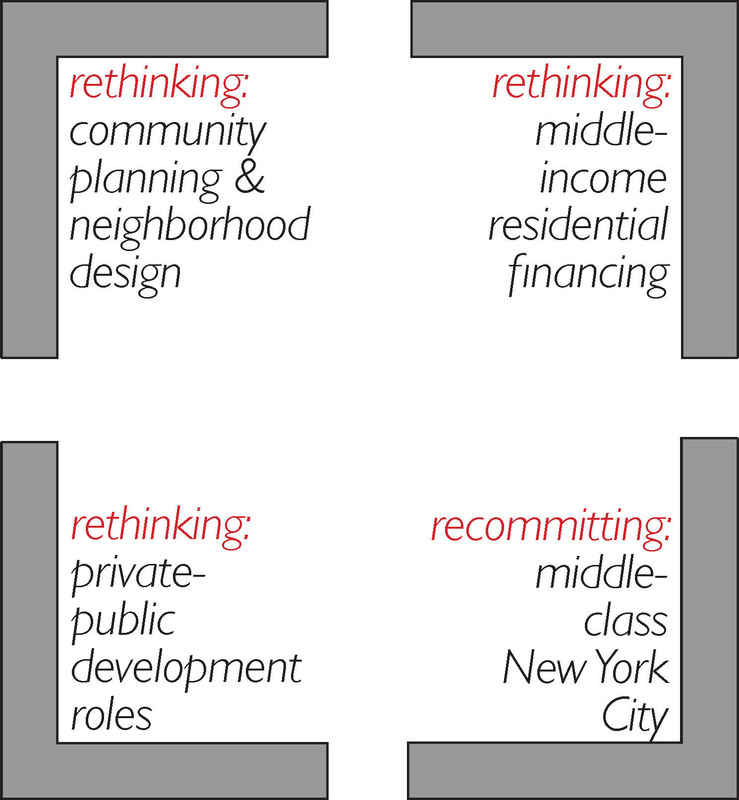 New-strategy developments speak directly to these income groups in the next series of New-strategy projects—in Brooklyn, Queens and the South Bronx—presented here.